Gionee has launched what it is calling the ‘world’s slimmest smartphone’ – Elife S5.5 – in India on Monday. Pricing it at Rs. 22,999, the company has detailed a 27 April availability for the smartphone in India. The Gionee Elife S5.5 made its first appearance ahead of MWC in February. The smartphone went on sale on March 18 in China. The Elife S5.5 flaunts a thin metal frame chassis and Gionee claims it to be the world’s thinnest smartphone at 5.5mm, beating the previous record holder Vivo X3 at 5.75mm. The Gionee Elife S5.5 is a single-SIM smartphone that runs the company’s Amigo UI on top of Android 4.2 Jelly Bean. It features a 5-inch Super AMOLED (1080×1920 pixels) display with a pixel density of 441ppi. The Elife S5.5 is powered by a 1.7GHz octa-core CPU coupled with 2GB of RAM. The camera options on the Elife S5.5 include a 13-megapixel rear shooter with LED flash and a 5-megapixel front camera for selfies and video calls. The smartphone comes with 16GB of internal storage with no further expandability option via microSD card. Connectivity options on the Elife S5.5 include 3G, Wi-Fi 802.11 b/g/n, Wi-Fi Direct, Bluetooth 4.0, GPS and USB OTG. It packs in a non-removable 2300mAh battery, which according to Gionee will easily last more than a day. The ‘world’s slimmest smartphone’ measures 145.1×70.2×5.55mm, and weighs 130 grams with its metal chassis. 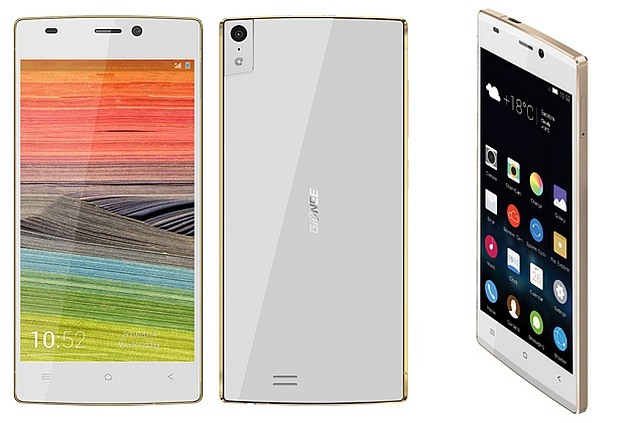 In December, Gionee had launched the Elife E6’s successor – the Elife E7 – in India at Rs. 26,999 for the 16GB variant. It features a 5.5-inch full-HD (1080×1920) OGS (One-Glass-Solution) IPS display with Corning Gorilla Glass 3 protection. The 16GB variant is powered by a quad-core Qualcomm Snapdragon 800 clocked at 2.2GHz coupled with 2GB of RAM.